Study in Germany - Ridgefield International Education Ltd.
Germany is very much in the news, guiding the way for Europe to emerge out of its financial crises and it is definitely a leader on the continent again. Germany draws many of international students every year with its reputation for low costs and high quality. The land of poets and thinkers is famed for its practically nonexistent tuition fees at public universities, and a location at the nexus of European culture and politics, and offering a high quality of life. German is the first language of the European Union. Even outside the country, it is most widely spoken on the continent. Acquiring German proficiency and skills opens up many doors for further studies, careers. Germany, as the 4th largest economy is an acknowledged global, business and economic leader. Therefore, German is a prime language for business today. Some of the world’s greatest scientists, writers, philosophers, psychologists and artists were German and have left behind a rich cultural legacy. Germany offers an advanced school system and excellent facilities as well as a beautiful landscape and dynamic culture. High school graduates finishing their studies in a German high school receive an entitling certificate to enter higher education studies. This certificate is known as “Abitur”. 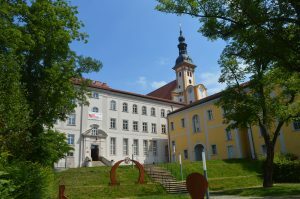 The German Abitur is a qualification obtained at Gymnasium level “Gymnasiale Oberstufe” after 12 or 13 years of school education, authorizing the holder to study any subject at any higher education institution in Germany. Germany is one of the key attracting countries for many international students for pursuing higher education studies. In order to be able to study at a higher education institution in Germany, you must necessarily have an entitlement that corresponds to the German Abitur level. 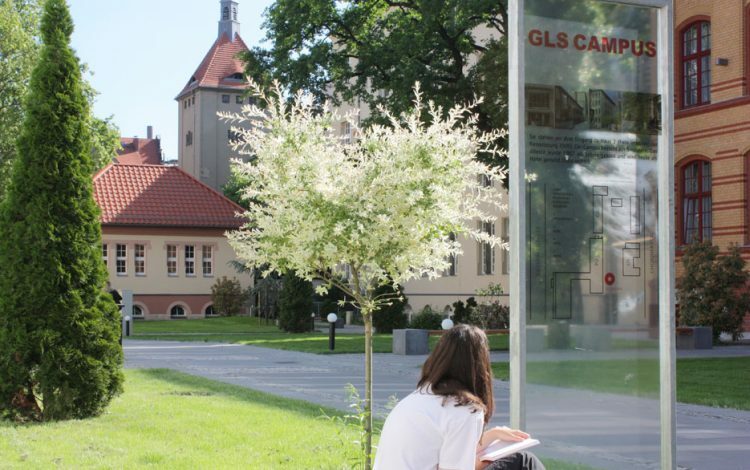 Therefore many international students choose to visit a Gymansium in Germany to obtain the Abitur. When choosing Germany study abroad programs, you should consider a variety of factors. In addition to the cultural differences you’ll encounter, you should also decide if you are willing to learn German. If you are interested in working internationally, then it is a good idea for you to study abroad. This opportunity may help to provide you with a wider network and access to a stream of opportunities that you may not have access to by studying in your native country. As a graduate of a study abroad in Germany program, you may find yourself in a better position to actively seek out promising careers that hold the promise of lucrative financial compensation. It usually will be the first time, when a student studies abroad. You will find new incredible foods, traditions, customs, and social structures. You will be fascinated by the new distinct cultural perspectives. After you finish the study program abroad, you may return home with the new perspective on language skills, culture, great education and willingness to learn. Or you love the new host country so much, that you decide to stay and continue to study on a university or search for a potential job in that country. Studying abroad will offer many new activities and interests, that you probably may never have discovered, when you stayed home. Possibly you have an as-yet undiscovered talent for snow skiing, golf, playing music, singing, hiking, water sports, etc. .
You will get to know students from your host country. You will have the opportunity to make lasting relationships with your fellow students. By studying abroad you will have to learn the language of the host country. This grants you the opportunity to completely immerse yourself in the new language. And there is no better way to lean it. Weekends and academic breaks will allow you to venture out and explore your surroundings. You will be able to visit place which you otherwise never would have had the opportunity to see. Being in a new place by yourself can be overwhelming at times, and it tests your ability to adapt to diverse situations. A benefit to studying abroad is the opportunity to discover yourself while gaining an understanding of a different culture. Graduate school admissions boards, like new employers, look very close on study abroad experiences. Students who have studied abroad show just how committed they are to their education. Graduate schools regularly look for candidates who will bring a unique aspect to their university. The opportunity to study abroad may turn out to be a once in a life time opportunity. For most students, studying abroad will be the only opportunity they ever get to travel abroad for a long period of time. Eventually you will find a job and a career.